﻿ Who is this TTV Dinakaran? TTV Dinakaran came into lime light after several years following his appointment as AIADMK Deputy General Secretary by Sasikala Natarajan before surrendering to serve out remainder of jail sentence. Who is this Dinakaran? Dinakaran is one of the three sons (Dinakaran, Bhaskaran & Sudhakaran - known as TTV Brothers) of Sasikala's Brother Vanithamani. After Sasikala became close to Jayalalithaa, The trio were given good prominence politically. 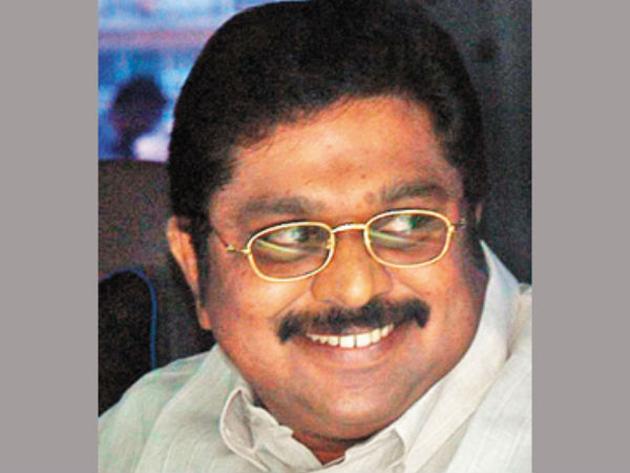 It was in 1988, Dinakaran became active in Jayalalithaa's camp and he became an MP later. Whereas, Jaya made Dinakaran's Brother Sudhakaran his foster son but disowned him in 1995. Jayalalithaa expelled Sasikala and her family from AIADMK based on intelligence reports on Mannargudi Mafia. While Sasikala was pardoned after she expressed regret, none of her family members were spared. Dinakaran is more like a mentor of O Panneerselvam. It was he who guided Panneerselvam, who was just an office bearer then, to become an MLA. Later, Jayalalithaa made him CM within four month before leaving for jail. In 1992, Dinakaran floated a company (Emerald Constructions) to illegally acquire prime government land. In connection with this case, The court has imposed Rs 28 crore fine on him for alleged economic offences. Sasikala appointed Dinakaran as Deputy General Secretary to keep AIADMK under her control. Even Caste Card works here as they belong to the dominant Thevar Community. Whereas, Palanisamy belongs to Gounder Community which is a backbone to AIADMK. Interestingly, Even O Panneerselvam belongs to Thevar Community. Palanisamy meets Guv, Claims Full Majority!